Talus is proud that its innovations have been awarded many patents and trademarks by the United States Patent and Trademark Office. Talus has a duty and a right to inform the market of our patent, trademark and copyright rights, and we do not hesitate to enforce our rights when necessary and have received injunctions and monetary relief where our rights have been infringed. As part of those efforts, below is a non-exhaustive list of intellectual property rights. When using the marks in publication materials that will be distributed only in the United States, include the appropriate symbol on first use. 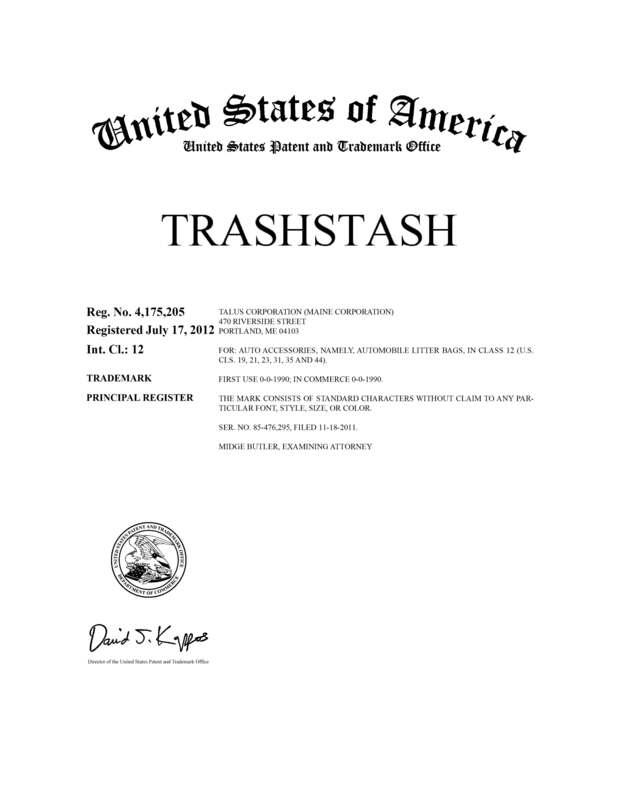 For publication materials that will be distributed outside the United States do not include trademark symbols. 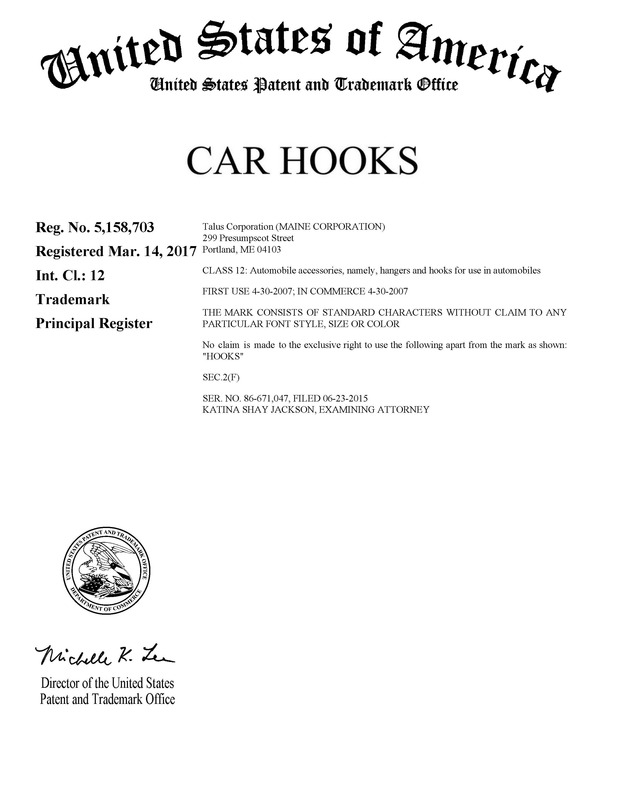 Always use the appropriate trademark credit notice: The High Road and Smooth Trip trademarks are the property of Talus Corp., registered in the U.S. and Canada. Please use only photos provided by Talus. Our images are designed to help you sell, showing our products demonstrating important benefits. Images of Talus packaging should be secondary photos, not the primary selling photo. Product silos may be used as we provide them, but should not be used as the primary photograph unless designated. We try to be clear, direct and concise in our selling copy and ask that you do the same. We will provide product information—benefits, features and construction specifications—and ask that you use only this information in your copy. If you have questions on content, branding or style, please contact Kim Filippone at kim@talusproducts.com. We offer feature/benefit, instructional and educational videos for your use on select products. Use only the Talus logos that appear on this website. If you are currently using an old logo or do not have a copy, please email Angela Nealey at angie@talusproducts.com.